GETTING READY: The Second Sirocco Project aims to prepare Sirocco for a major transition next year. Alston, NCD, Aug 27 – The Siroccan National Government has announced the beginning of an initiative to prepare Sirocco for major changes early next year. Dubbed the “Second Sirocco Project”, the objective is to organise many aspects of Sirocco for a possible shift in location next year. While no formal location has been confirmed, it is likely that Sirocco’s capital will move to a location somewhere in the city of Auckland. Premier Daniel Anderson today visited Auckland to begin preparation for what may be Sirocco next year. It is understood he inspected accommodation properties and began financing work, among other things, and has tonight returned to Alston to begin collating information and narrowing down Sirocco’s fate next year. Even before Sirocco was officially founded on November 4 last year it was acknowledged that Alston would not remain the permanent capital of Sirocco, owing to the eventual need to shift from the relatively quiet Northland region to the more urban and important Auckland region. Anderson spoke this evening on the matter. “Sirocco must begin preparing for what will happen to it next year. The Sirocco of 2010 didn’t work in 2011 and the Sirocco of 2011 won’t work in 2012. The ‘Second Sirocco Project’ is designed to manage Sirocco’s transition from Northland to possibly Auckland next year, and this will certainly be no easy task. Everything from finances to territory needs to be checked and organised, and if all goes well Sirocco should move smoothly out of Alston to new land early next year. Ideally, the project will run until April or May next year, but it may be shortened or extended to suit. The Imperial Bank of Sirocco, the national treasury, is expected to take a “major hit” with the Project, and talk of loans to help fund the Project has begun. It is also expected that several of Sirocco’s current territories, such as Bolton, Denbigh and Trafalgar, will be dissolved next year as part of the Project’s aims. Alston, if no longer the capital, will remain a Siroccan city and shall continue to be the capital of the National Capital District, however without the Premier’s Office and that the province will need a new name. Interestingly, the Project’s logo contains the phrase “readying Sirocco for the challenges of the year 2012“, however the government has stated that this refers to next year’s possible transition, rather than the 2012 “end of the world” phenomenon. Already a “Third Sirocco” is being discussed as talks also begin on what will happen to Sirocco once the Second Sirocco Project expires next year. 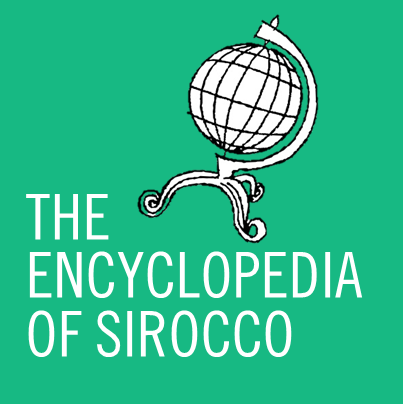 It is already thought that Sirocco may move again in 2013, giving Sirocco three capitals in little over one year.